Petrochemical compounds are derived from crude oil, making this raw material the starting point and basis for very many products. The products include fuels, different kinds of chemicals and practically everything made of plastics. 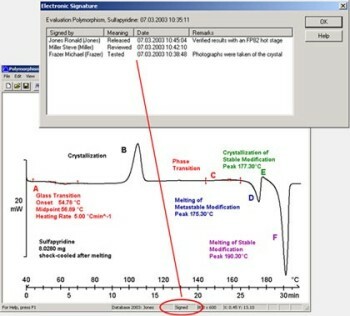 This is why the analysis of petrochemical compounds is so important. Crude oil production currently amounts to about 1000 million tons per year and is still growing. Approximately 90% is used as fuel and gasoline, while about 10% is converted to chemicals and plastic materials. 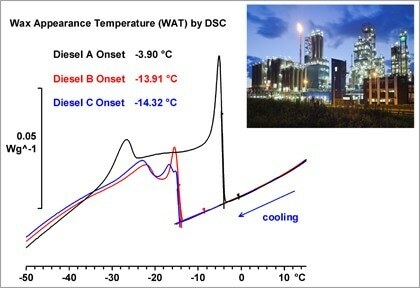 The most important effects that can be analyzed by DSC are the glass transition, melting and crystallization behavior, transition and reaction enthalpies, and thermal stability. TGA is normally used to study compositional analysis, thermal stability and decomposition, evaporation and desorption behavior. TOA is the method of choice for characterizing optical properties such as changes in morphology and cloud point effects. 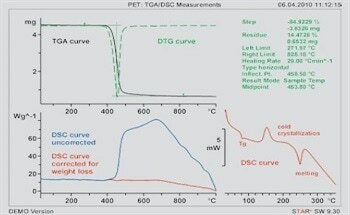 The main applications of DP are the dropping and softening points for material characterization.